Martin is a 6th Degree black belt and has been training in Taekwon Do for over 35 years, He is a sports and exercise physiologist and has trained many international sports people as well as Formula 1 drivers; he has served in the British Military and continues to work as an Close Protection Operative delivering close protection (bodyguard) to Royalty, diplomats and ultra high net worth corporate and high profile clients. Martin is also FPOSi medically trained which means that you are in very safe hands in his classes. As well as TaeKwon Do he has also trained in Ju-jitsu, Lou gar, Krav Maga, full contact karate, Muay Thai and Tactical Edge combative system allowing him to teach effective, practical self-defence. He was formally captain of the England TKD team and a member of the Great Britain team and has competed in many international, national and regional championships. He was formally the European Champion and has numerous national titles to his name, he also held the European destruction record for jumping high kick breaking an inch of wood at 2 meters 88 cm’s high and is the squad coach for the Central region. Martin is the Chief Instructor at Warwick-TKD and also runs a regional Black Belt club as well as numerous self-defence courses for TKD students and members of the public. Brian is lead Instructor at Kenilworth-TKD and an assistant instructor at Warwick-TKD. He is a 4th Degree Black Belt who has been training and competing in TaeKwon-Do since 2003. He has previously acted as an assistant instructor in his native Ireland since the age of 16 when he passed his Black Belt, firstly with Midland’s TaeKwon-Do in Mulingar, then with Trinity College Dublin TaeKwon-Do Club. Brian has competed successfully in numerous Irish and English national championships and open international competitions and has had trials for the England team. At the First T-UK Black Belt Championships in Manchester, he took Gold for destruction, and Bronze in both sparring and patterns. Brian brings with him a wealth of experience in TaeKwon-Do, Tactical Edge self-defence, Ninjutsu, Muay Thai, Kickboxing & Boxing as well as his enthusiasm, friendly attitude and a keen eye for detail. John is an assistant instructor at Warwick-TKD. He is a 1st Degree Black Belt who has been training and competing in TaeKwon-Do since 2015. John brings over 20 years of corporate leadership and mentoring experience to his role as assistant instructor and has competed successfully in numerous English regional and national championships for sparring, patterns and destruction. Rachel is an assistant instructor at Warwick-TKD. She is a 1st Degree Black Belt who has been training and competing in TaeKwon-Do since 2015. Rachel has competed successfully in numerous English national competitions for patterns and sparring. By profession Rachel is an IT Manager, bringing a keen eye for detail and an analytical mindset to her assistant instructor skill set. Jack is a 2nd Degree Black Belt who has been training since the age of 5 and gained his 1st degree Black Belt aged 10. He and his sister, Molly, are the longest serving members of the club and are both ITF-certified tournament officials. Between them, they run the junior members section of the club. Jack brings experience and maturity beyond his years and the perspective of a younger TKD student to instruction. 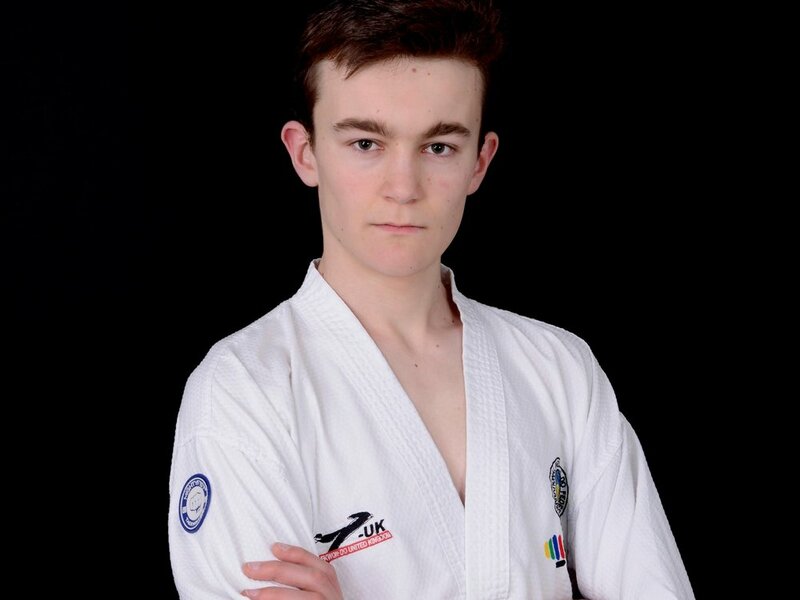 Jack competes regularly in Taekwon Do tournaments and has won British Championship medals in several disciplines. He places particular importance on fitness levels being an accomplished distant runner competing on a regular basis.